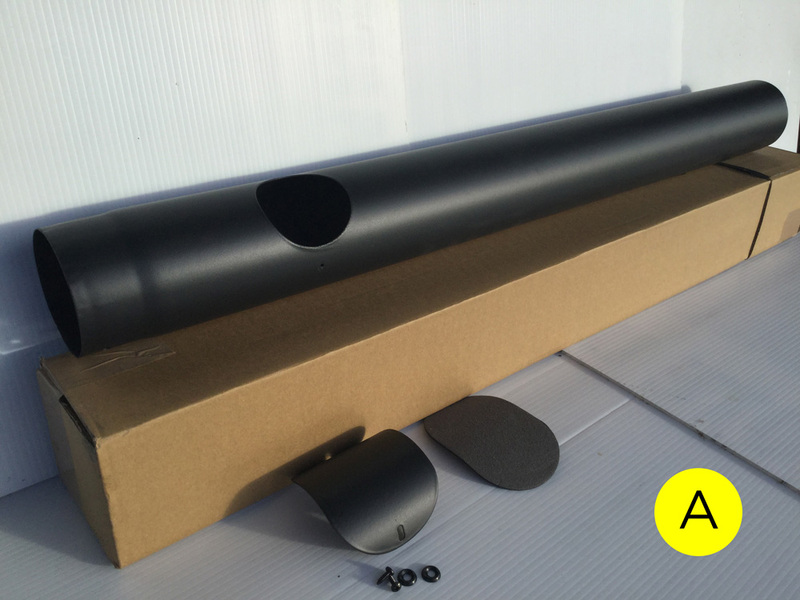 Tithe Barn Shepherd Huts sell a high quality all Black Flue Kit to complement the very popular Hobbit stove. 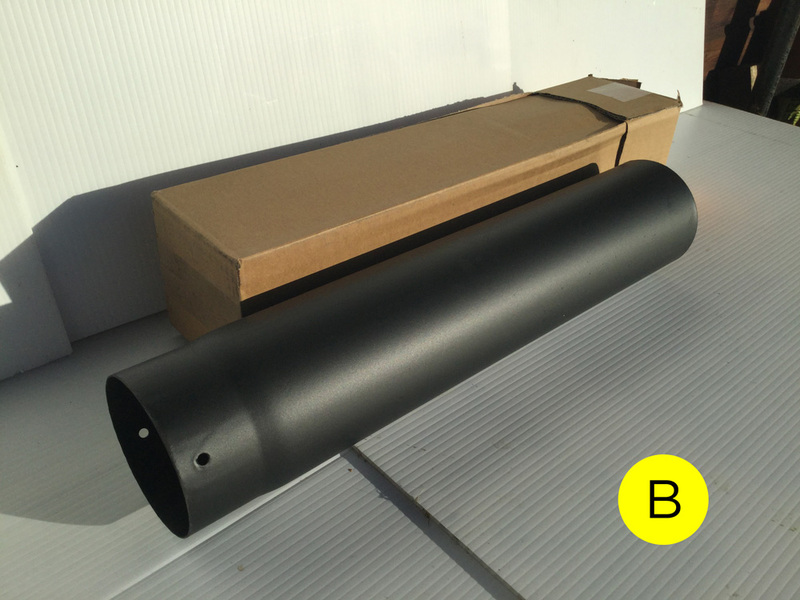 Our Flue Kits are widely regarded by installers as having the best powder coated finish on the market. Please note that this stove installation kit is supplied for use with the Hobbit Stove. We are not general stockists of Stove and Flue parts and are not therefore able to advise on or supply parts for, other stoves. 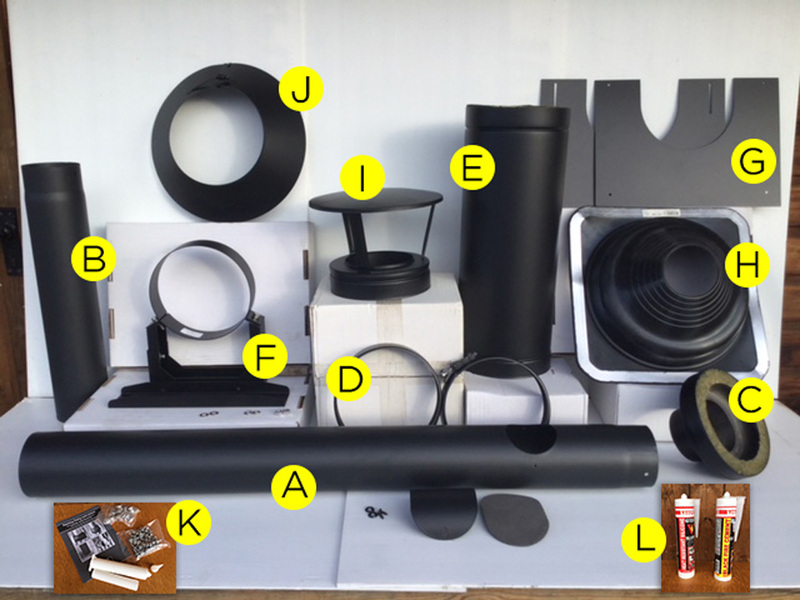 If customers have alternative stoves requiring a 4” flue kit, we are happy to sell this Installation Kit on the understanding that the customer takes responsibility for ensuring that the flue kit will fit! 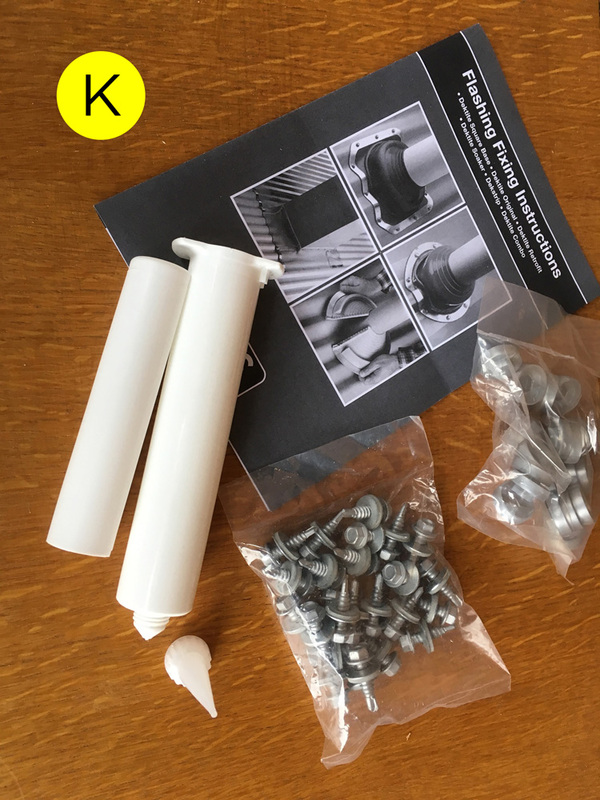 We recommend that you read through all the parts descriptions before starting, to ensure a full understanding of the kit and how it is assembled; in particular the use of the sealant / adhesive and fire cement. Matt black vitreous enamel single wall stove pipe with door, 1000mm x 100mm dia. Made from low carbon steel, 1mm thick. Use fire cement to seal to stove. Robust, friction fit (no fire cement required between A and B). Internally and externally enamelled. Matt black vitreous enamel single wall stove pipe, 500mm x 100mm dia. Made from low carbon steel, 1mm thick. Robust, friction fit (no fire cement required between A and B). Internally and externally enamelled. Cut this section of pipe if you need to reduce the overall height of flue. 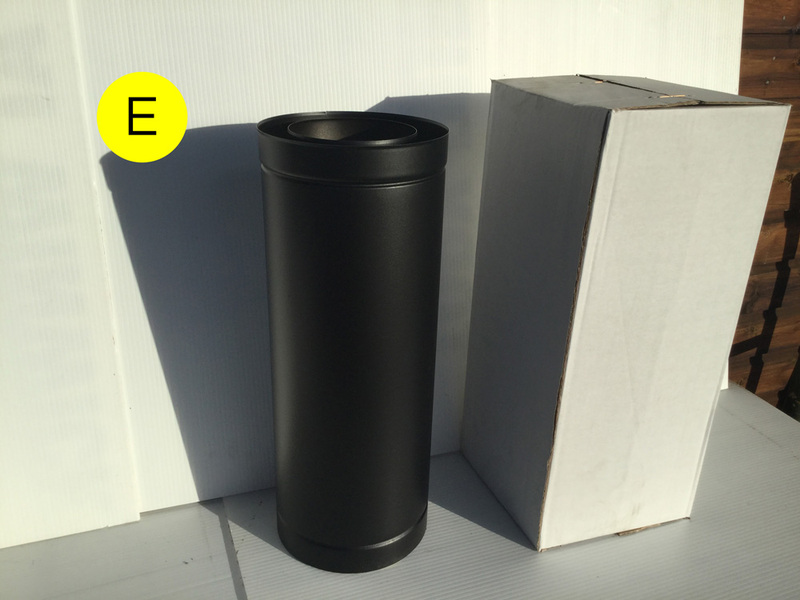 Matt black single to twin wall adaptor 100mm – 130mm (internal). 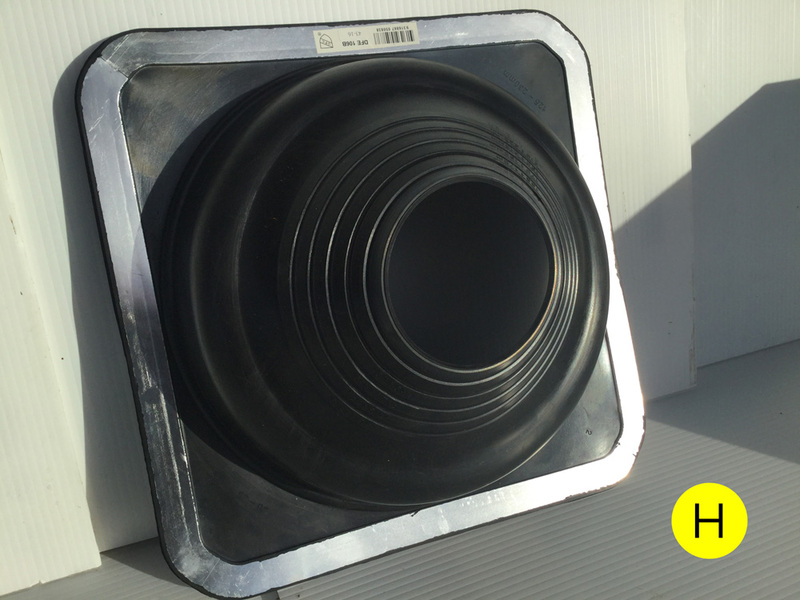 30mm mineral wool insulation. 20-year warranty. 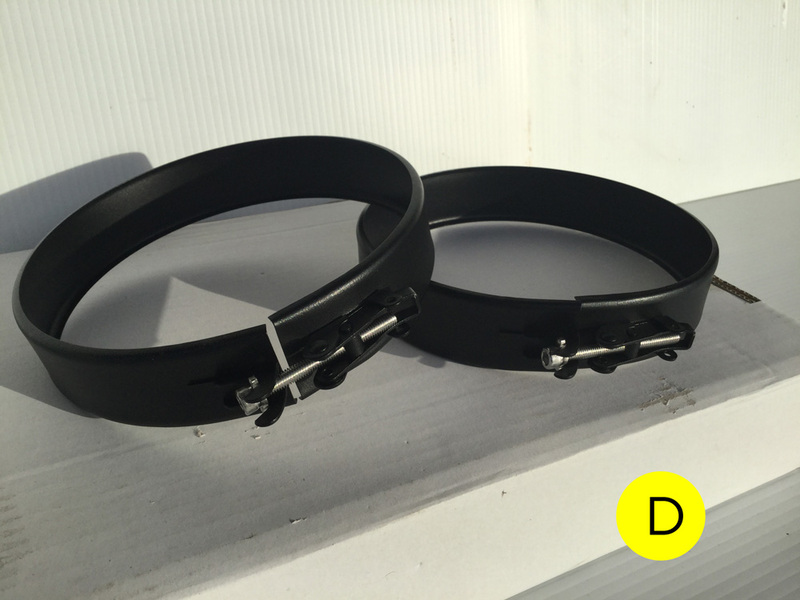 Matt black twin wall adjustable, quick clip narrow locking bands x 2no. Used to secure the adaptor to twin wall section. 20-year warranty. 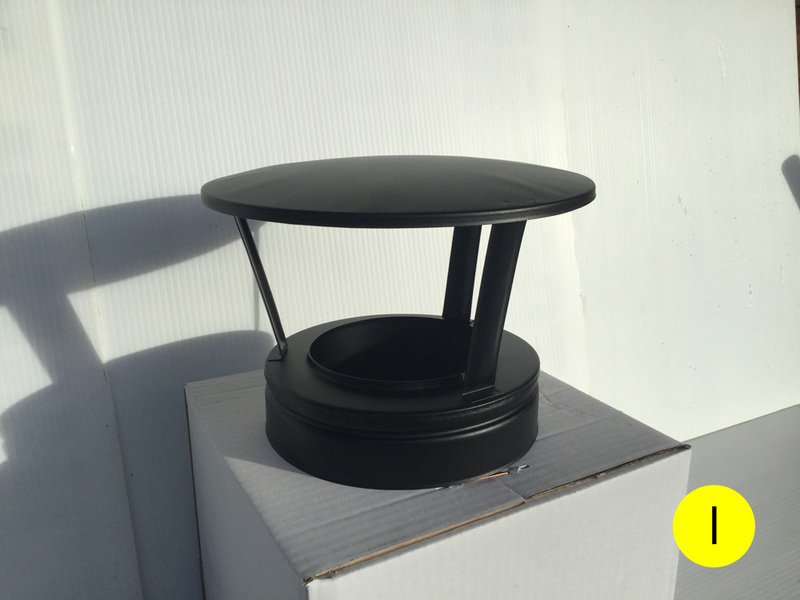 Matt black twin wall flue 500mm. 30mm mineral wool insulation. This section must be used for passing through the roof. 20-year warranty. 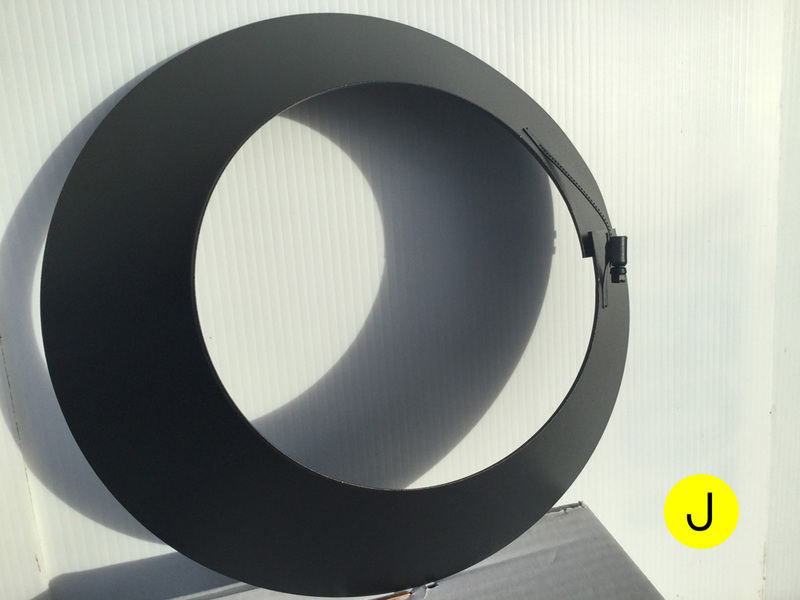 Matt black adjustable wall support for twin wall flue, 95-135mm. Easy fit adjustable bar. 20-year warranty. Diagram shows wall support fixed to “stand-off” timber. 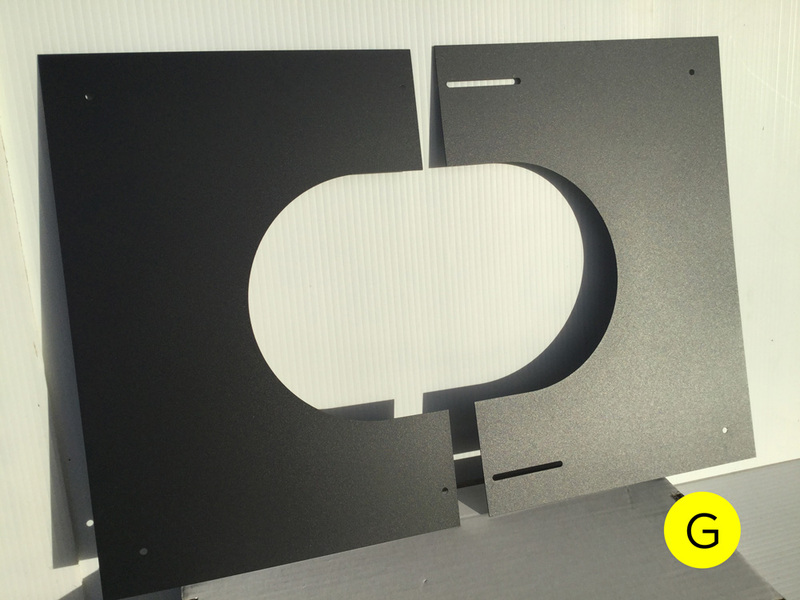 Matt black twin wall 30-45° finishing plate (2 part). 380mm x 350mm approx. overall. Easy fit adjustable plates. 20-year warranty. Matt black twin wall rain cap. 20-year warranty. Matt black twin wall storm collar (not shown on diagram). When fixing, apply additional sealant as extra protection against water ingress. Gives aesthetic finish. 20-year warranty. Fixing kit for EPDM flashing. Comprising: 75ml adhesive, 25no. self-drilling roofing screws with rubber backed aluminium washers, 25no. silver colour caps, Fixing Instructions – Please note that black sealant (see L) can be used to supplement 75ml adhesive. 1no. 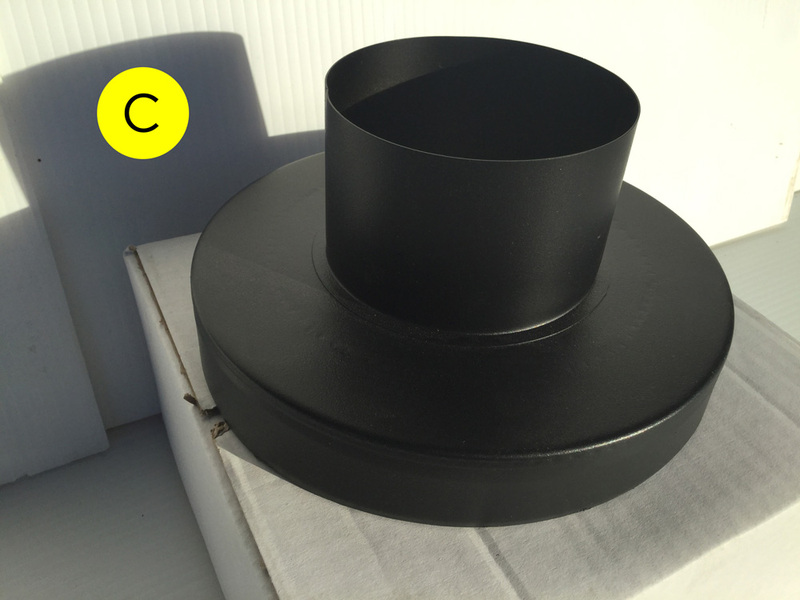 310ml cartridge of Black Fire Cement Used for sealing the flue to stove on both top and rear exits. Effective to 1250°C. 1no. 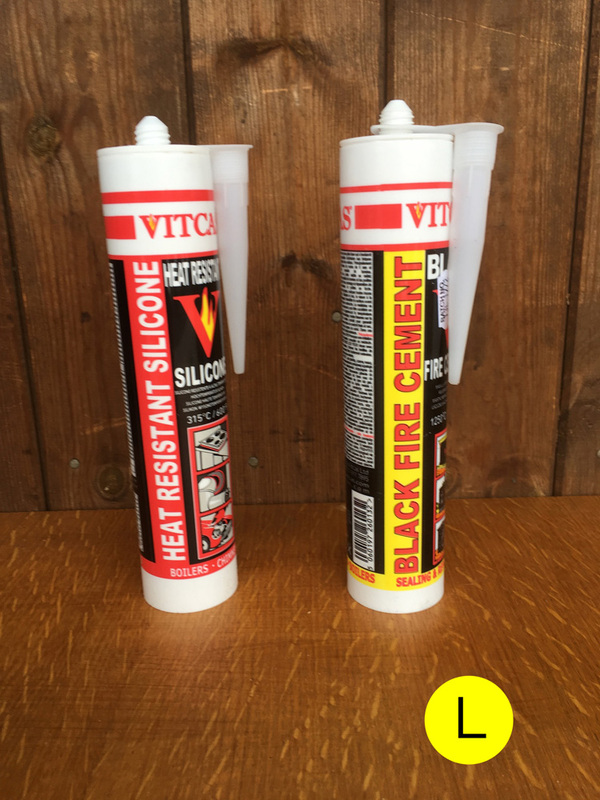 310ml cartridge of Black Heat Resistant Silicone Only to be used for sealing flue parts above the single skin flue, including supplementary sealing of flashing, if required. Effective to 315°C. 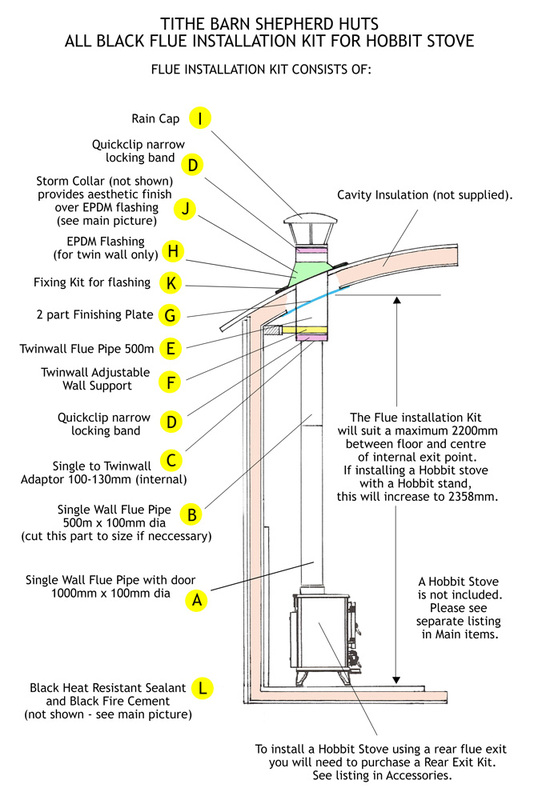 We recommend you use a HETAS registered technician to install your stove and flue kit. We cannot accept any responsibility for incorrectly installed flues or the consequences thereof. Always install a dual carbon monoxide / fire alarm and check it regularly to ensure it is working. 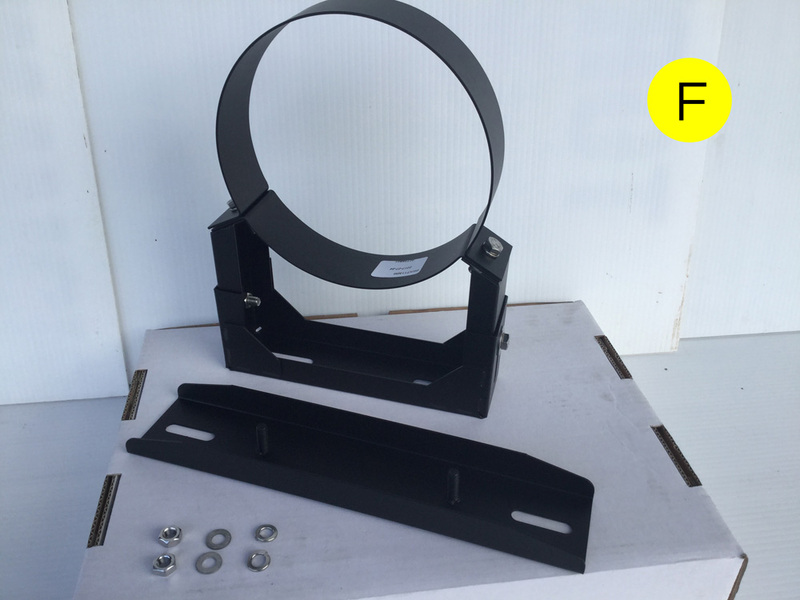 This kit is designed for the flue to exit at the top of the stove. If you wish to use the full extent of the cooking area on top of your stove, you will need to include a Flue Rear Exit Kit.